I first met Junior while living in the orphanage where he was a teacher for the older kids. 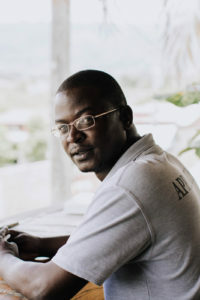 Raised in New York, but never having gotten his legal status in order in America, he was deported back to Haiti at age nineteen and has not seen his family in over a decade. He helped with the establishment of Apparent Project’s efforts and helped found Papillon as a business. He works as the Assistant Director in the office and oversees human resources, paying the company taxes, and taking care of all the business paperwork. He has proven himself a pillar of strength for me and someone I can confidently rely on.